Please note that your GPS may direct you to use NC-540, which is a toll road. There are ways to get to Carolina Preserve without driving on the toll road, so be sure to look for alternate routes. Copyright © 2016 NCEM, All rights reserved. Caldwell County CERT has two mobile, 12′ x 16′ shelters available for use during emergencies. It is quick to deploy and includes heat and air conditioning. On June 25 and 26 the Lenoir Amateur Radio Club will use one or two of the shelters for their annual, international Field Day. We are going to use this opportunity to train new CERT members how to set up the shelter and take it down. The first class that did it took 30 minutes to set it up. The time was reduced to 15 or 20 minutes the second time we did it last year on Field Day. This will give you hands-on practice in putting up the shelter in the event we are needed to set up the shelters during a disaster. This is also a good opportunity to support our local Ham Radio Club. All CERT members are encouraged to attend. The Radio Club has invited CERT volunteers to share their Saturday evening dinner on June 25 at Redwood Park in Hudson. Send an email to caldwellcountyCERT@gmail.com with your name, email, phone number, and whether you will attend Saturday morning, Sunday afternoon, or both. Also RSVP for the dinner if you wish to attend. The annual Foothills Fire & Life Safety Expo will be Saturday, October June 4, 2016, 10:00 am to 3:00 pm at the Caldwell County Community College and Technical Institute on Highway 321. The Caldwell County CERT team will have a display booth to share information about CERT and emergency preparedness. Kenneth Teague will also have a booth for Emergency Management. The Lenoir Amateur Radio Club will have a tent with ham radios and antennas installed for demonstrations. There are many other booths, equipment, and demonstrations by all the fire and police agencies in Caldwell County. There are lot of free activities, demonstrations, and giveaways for the entire family. CERT volunteers are needed to help set-up the CERT booth beginning about 8:00, staff the booth talking to the public and distributing material, and tear-down at the end of the day. Let us know if you are able to spend some time helping inform our community about emergency preparedness and CERT. Send an email to caldwellcountyCERT@gmail.com with your name, email, phone number, and hours you would like to work. Caldwell County CERT members who have taken the basic CERT training are encouraged to attend the Emergency Radio Communications Training class to be held in July. There is no charge for this class. There will be a CPR class and a First Aid class in June for current Caldwell County CERT members who have taken the basic CERT course. There is no charge for the classes. This will be a good review even if you have taken previous classes in First Aid and CPR. To register send an email to caldwellcountyCERT@gmail.com with your name, email address, and phone number with which one (or both classes) that you would like to attend. Thursday, June 16, 2016, 6:00 pm to 9:00 pm, 3rd floor training room, Caldwell County Health and Human Services Building, 2345 Morganton Blvd, SW, Lenoir, NC. Enter at the back door of the building. Wear comfortable clothing. Tuesday, June 21, 2016, 6:30 pm to 9:00 pm, 3rd floor training room, Caldwell County Health and Human Services Building, 2345 Morganton Blvd, SW, Lenoir, NC. Enter at the back door of the building. Wear comfortable clothing. Here are two courses being offered this summer by the North Carolina CERT program manager, Samantha Royster. Both classes are 2 days held on Saturday and Sunday. There is no cost to attend these classes. Hotel and meal reimbursement is available from the state. Reimbursement forms including rates are linked on the registration page for the course. The first one, CERT Program Manager Course, is designed to prepare Community Emergency Response Team (CERT) leaders for the tasks required to establish and sustain an active local CERT program. Kenneth Teague has recommended this class for everyone on our CERT Steering Committee and leaders of their organizations’ CERT teams. The second class, CERT Train-the-Trainer, is for any CERT member who is interested in teaching CERT classes including the basic course that new CERT members attend. The material is also valuable for people wanting to enhance their training and public speaking skills. This class will be held in Lenoir for the first time, and we recommend all our CERT volunteers take advantage of this opportunity. The class is scheduled for August 13-14, 8:00-5:00. 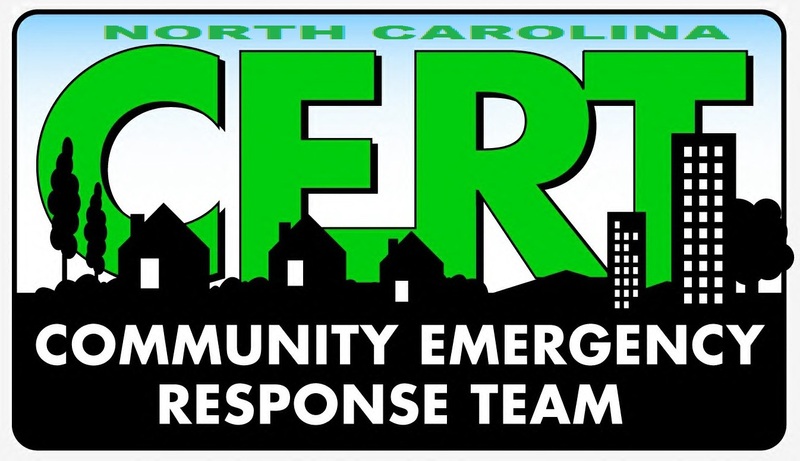 CERT Program Manager Course (NC 427) June 11-12, 8:00 to 5:00, Raleigh, NC. Travel Reimbursement is available for a two-night hotel stay and meals. Details about the course and registration information are available on the TERMS website. CERT Train-the-Trainer Course. August 13-14, 8:00-5:00, Caldwell County Health and Human Services Building, 2345 Morganton Blvd, SW, Lenoir, NC. The class is available for registration on the state’s Training and Exercise Registration Management System (TERMS). May 15 begins National Hurricane Week. Learn more about how to protect your family, home, and community during a severe weather event like hurricanes and tropical storms at FLASH (Federal Alliance for Safe Homes) You will learn more about the following steps. Build a disaster supply kit.